Round 1b of the 2017 Bottom Shelf Bourbon Brackets features Division 2 Number 1 seed Wild Turkey 101 versus Number 4 seed Cabin Still. Wild Turkey 101 is a product of Grupo Campari. It is produced by the father-son team of Jimmy and Eddie Russell at the Wild Turkey distillery in Lawrenceburg, KY. The product has no age statement but is rumored to be from 6-8 years old. Since this is the highest proof bourbon in this year’s competition, it gets the second number one seed. Cabin Still is a product of Heaven Hill Brands. It is a three-year-old, 80 proof straight bourbon. It has an old and venerable name, having once been the product of the Stitzel-Weller distillery. These days, Heaven Hill barely acknowledges the brand. It isn't even on their website. Details: 50.5% ABV, no age statement. Nose: Fruity sweetness, cinnamon red hots, and tobacco. Mouth: Peppery and warm with brown sugar, baking spices, and bubblegum. Finish: Long and warm with lingering bubblegum and chocolate covered coconut. Pre-Reveal Thoughts: Heat, sweet and richness. This is a good one. Nose: Buttered popcorn, grain, and honey. Mouth: Sweet and velvety with buttered popcorn, faint baking spices and the tiniest hint of soap. Finish: Short and sweet with more buttered popcorn. Pre-Reveal Thoughts: If this were on its own, I wouldn't mind it. Compared to something else, though, it feels a bit one-note. Two brands, each with a long and storied history. One that is still a flagship brand, and another that isn't even acknowledged on its current owner's website. One has Matthew McConaughey as its spokesperson, and the other doesn't advertise. 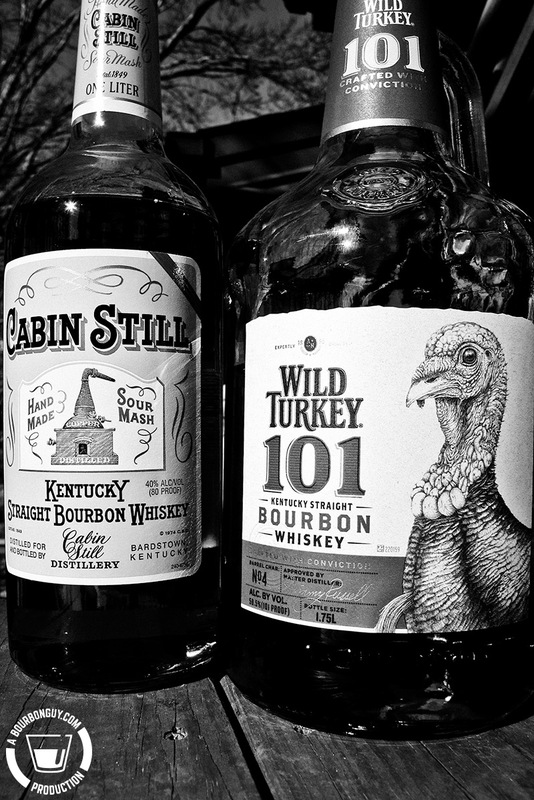 It should come as no surprise that the winner here is Wild Turkey 101. It will face the winner of the matchup of Jim Beam Devil's Cut and Jim Beam Double Oak in Round 2.